Argonne is a direct descendant of the University of Chicago's Metallurgical Laboratory, part of the World War Two Manhattan Project. It was at the Met Lab where, on Dec. 2, 1942, Enrico Fermi and his band of about 50 colleagues created the world's first controlled nuclear chain reaction in a squash court at the University of Chicago. After the war, Argonne was given the mission of developing nuclear reactors for peaceful purposes. Over the years, Argonne's research expanded to include many other areas of science, engineering and technology. Argonne is not and never has been a weapons laboratory. The Associate Aircraft Site, in Fairfield, Ohio fabricated uranium metal was fabricated for the U.S. Atomic Energy Commission in 1956, contaminating interior building surfaces, drains, equipment, and soils. The former owner removed some contamination in late 1956. DOE conducted additional remediation at the property under FUSRAP in 1994 and 1995. DOE certified that, with the exception of one area where supplemental limits were applied, applicable cleanup criteria had been achieved, and the site was released for unrestricted use in 1996. No institutional controls are in effect at the privately owned site, and DOE does not require on-site monitoring or surveillance. Legacy management activities consist of managing site records and responding to stakeholder inquiries. Ames Laboratory is a United States Department of Energy national laboratory located in Ames, Iowa. The Laboratory conducts research into various areas of national concern, including the synthesis and study of new materials, energy resources, high-speed computer design, and environmental cleanup and restoration. It is located on the campus of Iowa State University. 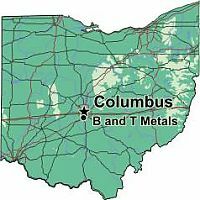 The B and T Metals Site in Columbus, Ohio, heated and extruded uranium metal into rods for the Manhattan Engineer District in 1943, contaminating building surfaces, drains, equipment, exterior soils, and manholes in nearby streets. The owner removed contamination from site facilities and equipment after extrusion activities ceased in 1943. DOE conducted additional remediation of contaminated areas under FUSRAP in 1996. DOE certified that applicable cleanup criteria had been achieved, and the site was released for unrestricted use in 2001. No supplemental limits or institutional controls are in effect at the privately owned site, and DOE does not require on-site monitoring or surveillance. Legacy management activities consist of managing site records and responding to stakeholder inquiries. The plant shut down on August 30, 1997. 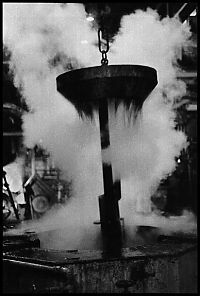 Fuel was transferred to the spent fuel pool by September 20, 1997. The owner submitted certification of permanent cessation of operations on June 26, 1997, and certification of permanent fuel removal on September 23, 1997. The owner submitted their decommissioning plan on February 27, 1995 which was considered to be the post-shutdown decommissioning activities report (PSDAR) and has subsequently been updated. The PSDAR public meeting was held on November 13, 1997. The owner selected the DECON option. Under the current schedule, the operating license is planned to be terminated in 2005. The owner has loaded all of the spent fuel from the pool into transportable dry storage systems at an on-site interim storage facility. During the early and mid-1940s, Baker Brothers, Inc., in Toledo, Ohio, fabricated slugs from processed natural uranium metal for the Manhattan Engineer District. In 1992, DOE designated the site and its associated vicinity property for remediation under FUSRAP. DOE remediated localized areas of residual uranium contamination on interior building surfaces and exterior soil and concrete in 1995. DOE certified that the site and the vicinity property complied with applicable cleanup criteria and standards in August 2001 and released the properties for unrestricted use. The Byron plant contains two light water reactors. 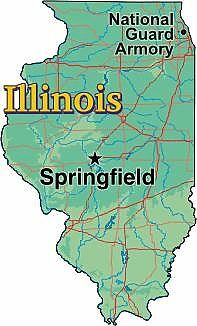 It is located in Ogle County, Illinois. 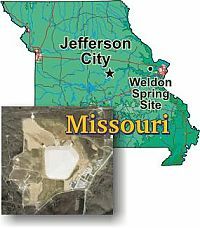 The Clinton Power Station and is 5,000-acre cooling reservoir are located on a 14000-acre site near Clinton, Illinois. Clinton's final construction cost exceeded $4 billion, leading the plant to produce some of the most expensive power in the Midwest. The Davis-Besse power plant is located in Oak Harbor, Ohio, on a site covering 954 acres. The plant, however, uses only a fraction of the site with 733 acres devoted to a National Wildlife Refuge. This plant is located in Berrion County, Michigan, on a 650-acre site. The Dresden nuclear power plant is located on a 953-acre site in Grundy County. It serves Chicago and the northern quarter of the State of Illinois. Dresden 1 was retired in 1978. 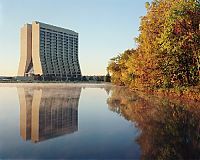 Fermi National Accelerator Laboratory (Fermilab), located in Batavia near Chicago, Illinois, is a U.S. Department of Energy national laboratory specializing in high-energy particle physics. The laboratory was founded in 1967 as the National Accelerator Laboratory; it was renamed in honor of Enrico Fermi in 1974. Weston, Illinois was a community next to Batavia voted out of existence by its village board in 1966 to provide a site for Fermilab. Named for the first physicist to split the atom, the Enrico Fermi plant is located near Detroit. 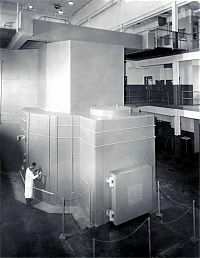 The prototype Fermi 1 unit operated at the site from 1963 to 1972 and is now mothballed. The site, formerly known as the Feed Materials Production Center (FMPC), is a 1050-acre facility located in a rural, residential area 18 miles northwest of Cincinnati. The facility was constructed in the early 1950s and production began in 1952 with National Lead of Ohio (NLO) as the operator. The Kewaunee nuclear plant occupies a 900-acre site in Carlton, Wisconsin. Management of the site was consolidated with the Point Beach units. Kewaunee was the fourth nuclear plant built in Wisconsin, and the 44th built in the United States. The plant was shut down on April 30, 1987. The SAFSTOR decommissioning plan (DP) was approved August 7, 1991. The DP is considered the post-shutdown decommissioning activities report (PSDAR). The PSDAR public meeting was held on May 13,1998. Limited and gradual dismantlement is currently underway. The owner is a member of the Private Fuel Storage LLC seeking a license to build and operate an independent spent fuel storage installation on the reservation of the Skull Valley Band of Goshute Indians west of Salt Lake City, Utah. The owner has no immediate plans for an onsite independent spent fuel storage installation. The LaSalle County dual-reactor station serves Chicago and northern Illinois. The Luckey Site is made up of approximately 16 hectares (40 acres), and is located approximately 35 kilometers (22 miles) southeast of Toledo in Luckey, Ohio. Luckey�s was owned and operated by the US Government to process magnesium. In the late 1940s, the Atomic Energy Commission, a predecessor agency to the US Department of Energy built a beryllium production facility on the site. Waste from these operations was placed in three lagoons. After the plant closed in 1959, contaminated sludge and soils were moved from the lagoons to a landfill that was later capped, graded and seeded. EM completed it's work at this site in 1997 with the transfer to the Formerly Utilized Sites Remedial Action Program (FUSRAP) at the United States Army Corps of Engineers (USACE), in accordance with the Energy and Water Development Appropriations Act of FY 1998. More than two billion dollars were spent on a project that was only 20% complete. Now fast deteorating against the elements, this abandoned nucular power plant stands as a rusting hulk of what was to be a boom in nucular energy. Skyrocketing and ridiculous costs prohibited the completion of the project, and nearly forced Public Service Indiana into bankrupcy. Public Service Indiana (PSI, now owned by Cinergy), proposed a nucular power generating plant in 1973 at Marble Hill, north of Louisville, Kentucky and south of Madison, Indiana overlooking the Ohio River. The cost of the power plant was estimated to be $700 million, the largest capital project in Indiana's history. After several public hearings, in September of 1977, estimated construction costs had risen to $1.4 billion. Monticello is located on a 2,100-acre plant site near Monticello, Minnesota. The site is divided between Sherburne and Wright counties. Cooling water is drawn from the Mississippi River. The Miamisburg Closure Project is a 305-acre, former nuclear weapons laboratory and production facility located about 15 miles southwest of Dayton, OH. The National Guard Armory, located in Chicago, Illinois, is owned by the State of Illinois. Between 1942 and 1951, the Manhattan Engineer District (MED) leased the building and used it to store and process uranium metal and as the central procurement and shipping location for the MED Metallurgical Laboratory. 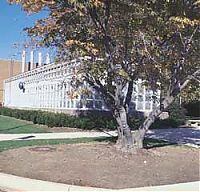 In 1951, MED�s successor, the U.S. Atomic Energy Commission, terminated use of the building and the property was returned to the State of Illinois. Radiological characterizations of the Armory in 1977, 1978, and 1987 indicated that residual radioactive material contamination exceeded DOE guidelines. In 1987 and 1988, DOE removed contaminated waste from interior building surfaces and exterior catch basins and soils. DOE certified that the site complied with applicable cleanup criteria and released the property for unrestricted use in 1989. The Painesville Site is located in Painesville, Ohio, approximately 35 kilometers (22 miles) northeast of Cleveland. Painesville had an operational magnesium production facility on the grounds, operated by the Diamond Magnesium Company in the 1940s. In the 1950s the Atomic Energy Commission (AEC), a predecessor agency to the US Department of Energy, shipped radioactively contaminated scrap steel to the Painesville site for use in their magnesium production processes. Residual radiation from the scraps contaminated the soil at the site with uranium, radium and thorium. The site was part of the Formerly Utilized Sites Remedial Action Program (FUSRAP). The FUSRAP Program was transferred to the United States Army Corps of Engineers (USACE) in 1997, in accordance with the Energy and Water Development Appropriations Act for FY 1998. 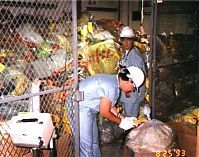 Cleanup responsibilities transferred at the time from DOE-EM to the USACE. The Palisades nuclear plant is located on a site of about 490 acres near South Haven, Michigan. 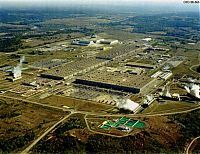 The Perry nuclear plant is located on 1,100 acres near Cleveland, Ohio, in Lake County. Built at a cost of $6 billion, Perry is one of the most expensive power plants ever build. The Piqua Nuclear Power Facility contained a 45.5-megawatt (thermal) organically cooled and moderated reactor built and operated as a demonstration project by the Atomic Energy Commission between 1963 and 1966. The Facility was owned by the Atomic Energy Commission and operated under contract by the City of Piqua. In 1966, the Commission discontinued Facility operations and terminated the contract with the City of Piqua for operation and maintenance of the facility. Between 1967 and 1969 the Piqua Nuclear Power Facility was dismantled and decommissioned. At that time, the reactor fuel coolant and most of the radioactive materials were removed from the site. 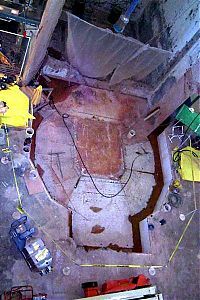 The reactor vessel and the spaces between the vessel and cavity liner were then filled with dry quartz sand. NASA's only nuclear test reactor was the Plum Brook Reactor Facility, which is affiliated with the NASA Glenn Research Center . The facility, located on land that is now Plum Brook Station in Sandusky, Ohio, operated from 1962-1973; but the history of the land stretches back to the 19 th Century when War of 1812 veterans were given the property. The federal government seized 9000 acres of this farmland in 1941 to construct a sprawling Ordnance Works facility that operated throughout World War II. The National Advisory Committee for Aeronautics purchased the land in 1956 to build a test reactor, to support atomic aircraft studies being conducted by the Atomic Energy Commission. 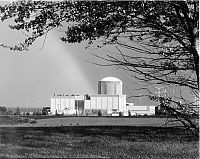 Although that concept was shelved before construction of the reactor was completed, President Kennedy breathed new life into the facility by supporting a national nuclear rocket program in May 1961, a month before the Plum Brook reactor was started up (also known as �taken critical�) for the first time. The nation's nuclear rocket program was canceled during the post-Apollo budget cuts. The reactor was closed down in 1973 and was placed into a �safe dry storage� mode, during which it was monitored by NASA until initial decommissioning work began in 1998. Wisconsin Electric Power's 2-unit plant is located near Two Rivers and Manitowoc. 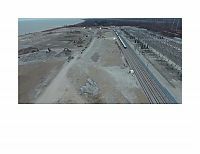 Management of the site was consolidated with the Kewaunee plant. Prairie Island is in Red Wing, Minnesota. The Quad Cities power plant is named for the nearby cities of Davenport, Rock Island, Moline, and East Moline. The power plant is not only named for these cities, but serves them, in addition to western part of Exelon's service territory. 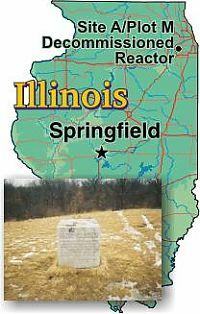 The Site A/Plot M Decommissioned Reactor Site is located in the Palos Forest Preserve in Cook County, Illinois, 20 miles southwest of Chicago. The site is underlain by 100 feet of glacial till overlying dolomite bedrock. About 8.9 million people live within 50 miles of the site; the population within a 5-mile radius is about 150,000. The Site A/Plot M area is the former site of Argonne National Laboratory and its predecessor, the University of Chicago Metallurgical Laboratory, which was part of the World War II Manhattan Engineer District. In 1942, the U.S. Army Corps of Engineers leased 1,025 acres of land in the Palos Forest Preserve from the Forest Preserve District of Cook County. The newly constructed laboratory used two locations in the Palos Forest Preserve: Site A, a 19-acre area that contained experimental laboratories and nuclear reactor research facilities, and Plot M, a 150-foot by 140-foot area that was used for burial of radioactive waste. 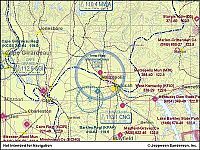 Plot M is located about 1,500 feet north of Site A. Site A was the operational facility for two of the nation's first nuclear reactors, referred to as Chicago Pile-2 and Chicago Pile-3 (CP 2 and CP 3). Besides the two reactors, an estimated 35 support buildings were constructed at the site, including laboratories, dormitories, a cafeteria, dog kennels, and a lead foundry. The University of Chicago Site in Chicago, Illinois, originally consisted of seven buildings. Three of the buildings have been demolished; four buildings remain (Ryerson Physical Laboratory, Eckhart Hall, Kent Chemical Laboratory, and George Herbert Jones Chemical Laboratory). Interior surfaces, ducts, and drains in these buildings were contaminated between 1942 and 1952 by radioactive materials used in research activities by the Manhattan Engineer District and the U.S. Atomic Energy Commission to support development of the atomic bomb at Los Alamos National Laboratory, New Mexico. The University of Chicago and a contractor conducted decontamination activities at this site in 1982 and 1983. DOE designated the site for remediation under FUSRAP in 1983 and performed remediation of the site in 1982, 1983, and 1987. DOE certified that the site conformed to applicable cleanup criteria and standards and released the property for unrestricted use. The Weldon Spring Site has transformed from a site once used to manufacture explosives and process uranium-ore concentrates to a publicly accessible area for recreation and education. Zion Units 1 and 2 were permanently shut down on February 13, 1998. The fuel was transferred to the spent fuel pool, and the owner submitted the certification of fuel transfer on March 9, 1998. A public meeting was held on June 1, 1998, to inform the public of the shutdown plans. The owner has converted the turbine-generators into synchronous condensers and have isolated the spent fuel pool within a fuel building "nuclear island." The plant has been placed in SAFSTOR, where it will remain until about 2013 when the decommissioning trust fund will be sufficient to conduct DECON activities. The owner will retain the spent fuel until it is accepted by the Department of Energy. The owner submitted the post-shutdown decommissioning activities report (PSDAR), site-specific cost estimate, and fuel management plan on February 14, 2000. A public meeting to discuss the PSDAR was held on April 26, 2000.